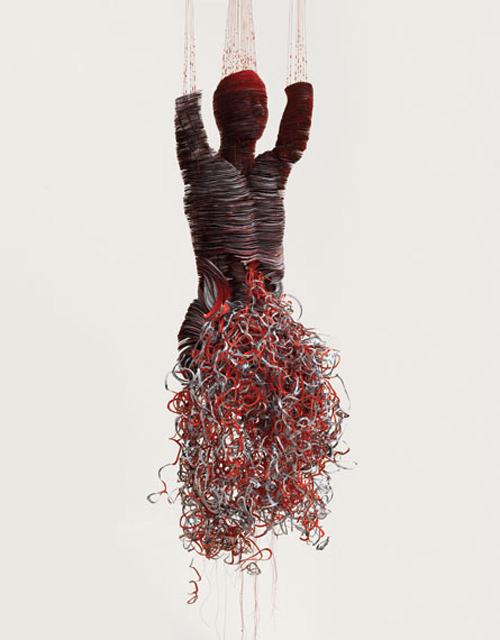 Brazilian artist Marilene Oliver uses medical imaging (MRI and CT scans) to create sculpture. Concerned with the human condition in a digitized world – medical imaging fragments the body, genetics become code, interactions have been reduced to email and texts: digital media breaks the body down into bytes — Oliver uses her art as a way to reclaim the body. In her work, Oliver experiments with the power of a wound, scar, and dissection to bring forth political issues. 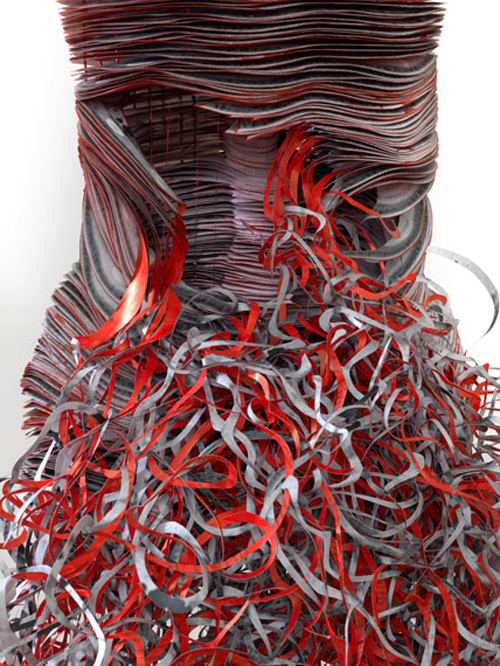 She works with materials that range from laser-cut acrylic, to foam rubber, to shredded cardstock. Photos courtesy of the artist and Beaux Arts Gallery.